I remember sitting there. Right there. On the second row. Staring up at a guy I had never met. I never even heard of this guy until a few days ago. My friend’s dad kept badgering me to attend this conference to hear this guy. He wasn’t a famous pastor or possible GQ model. He honestly wasn’t that impressive to look at. I only went to the conference to humor my friend’s dad. My friend’s dad said this guy would change my life. And he was right. There was something completely different about this pastor that I didn’t fully understand. Up until this point, I had been in church my whole life; I grew up in the church. I was the punk kid that knew as much, if not more, scripture than adults and would quote it to them if they tried yelling at me. If they wanted me to be quiet, “God said make a joyful noise“. If they didn’t like what I was wearing, “Jesus said come as you are“. I knew so much about Jesus. I knew who He was, where He came from, why He came, and how He’d return. If I was truthful though, I didn’t really know or understand Him. It’s kind of like the pastor you follow on Instagram. You may know a lot about him. His favorite things, where he shops, how many kids he has and his favorite celebrity to post selfies with. But, you don’t know him. To me, God was God and I wasn’t. I knew I needed to be good and obey Him and all the other church things they teach you to say. I was great at the whole church thing. But, I was terrible at the whole relationship thing. I knew, but did not understand, that I should love God. Then, as they say, came my day with destiny. I was sitting there listening to this guy speak, I had never met or hear of, and it’s as if he knew everything I needed to hear in that moment. My genuine prayer is that if you’re reading this, it can be exactly what you need to hear and understand right now. Jesus loves you. No, no, no. This isn’t a cliché. Jesus, the Son of the living God. He… Loves. He has feelings… for you. He has crazy feelings for you. Do you really understand what that means? When your family member died, Jesus was broken with you. When you cut yourself, Jesus looked at the scars on His body and was sitting there trying to convince you He had already taken the pain. Even when you were depressed, Jesus wanted to lift you up and be your joy. You see, God is not mad at you. He’s not mad at you because you’re a sinner. Your sin is not a surprise to Him. The amount of sin you’ve built up is not a surprise to Him. Although some of you need to pump the breaks a little. He sees it, and sees you and still says He loved you at your darkest. He’s chased you. He is actively chasing you. He is the good shepherd who has lost His favorite sheep. Guess what, you’re His favorite. Long before you were a twinkle in your parent’s eyes, and before they were a twinkle in their parent’s eyes, you were a twinkle in God’s eye. It’s magical when you finally understand this. God first loved us. When we find out, we get overwhelmed and love Him back, which causes Him to become overwhelmed and love us even more! God has feelings for you. They’re not feelings of regret and disappointment. They are feelings of love and astonishment. I can’t even begin to describe all the ways He is genuinely in love with you. It’s crazy, right? To think all of this. Listen to me, it’s all true. Right now, there is a God who is more real, and more tangible than anything you could ever imagine. From what we are told and what we can physically feel, He draws near… every… single… time… to heal the broken hearted. If you find yourself broken today, He is there. Revelation talks about how God will stop heaven and Earth at a point for 30 minutes of silence while he listens to the prayers of the saints. That’s you and me. God is always listening to His people. I find that often, we’re simply not listening to God. It’s important to remember and truly understand that God doesn’t just love you. He’s madly in love with you and He believes in you. Pingback: Does God Really Love Me? Thank goodness we are His favorite. That when we are lost and wondering, He will keep looking for us and won’t let us stay lost. This is great Sean! 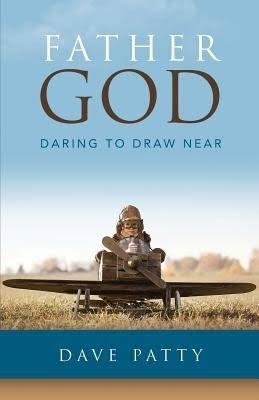 Have you read “Father God–daring to draw near” by Dave Patty? I think you’d enjoy it. Solid word on LOVE today man… As Christians I think sometimes we just KNOW that God loves us, but we don’t really UNDERSTAND what that means. I know I fall into that sometimes, even know if I’m honest / transparent. Thanks for this timely word bro!! !